Excessive Surveillance or Healthy Surveillance? In the UK and many other places in the world, surveillance is seemingly everywhere. 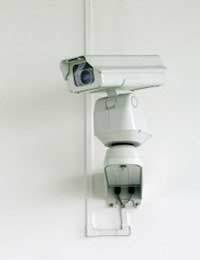 Whether a person is online and using the Internet or simply walking down the street under the watchful 'eye' of CCTV, surveillance equipment is active and progressive. Striking a balance between the need for surveillance and the need for privacy is a difficult challenge and one that is extremely subjective. Each of us has our own comfort level for what we determine as reasonable surveillance or unreasonable invasion of our privacy. While we want protection and security, we also want freedoms and privacy. The discovery of DNA has had a significant impact on surveillance in the UK. Generally, DNA surveillance can be broken down into two different categories. In the first, DNA is used in a way that allows for a link between two known people to be detected. Police and investigators will examine DNA profiles from people – all stored in a national database – with DNA found at crime scenes. In the second approach to surveillance, the response of a person when asked to provide a DNA sample is assessed. Police or investigators will look for a match between a person's DNA and any evidence gathered from a crime. This type of approach is different in that the reaction of the person is gauged. The assumption is that if a person is innocent, he or she will react mildly and with no concern to the request. If, however, the person is guilty, it is assumed that he or she will be resilient to providing a DNA sample. This type of test has raised concerns regarding the ability of a person to self-incriminate. There is a great deal of controversy over which is better – to assess how a person responds to a voluntary request for a DNA sample or to use a database of forcibly obtained profiles to identify criminals. Some people argue for the latter, citing that the ability of police to acquire DNA without consent is a better approach because it ensures everyone is included in the database. Others support the former because it respects a person's right to privacy while still providing investigators with valuable information regarding guilt or innocence. In Britain, surveillance and privacy are culturally different than in other countries such as the United States. Britain holds the title of having the world's largest DNA database. This is due, in part, to the profiling that occurs from people arrested for even minor offences that do not result in jail time. In the United States, the DNA database holds nearly five million DNA profiles but the vast majority are from convicted criminals. While in recent years, laws have evolved to allow for DNA to be taken from a person upon arrest, the law still allows for the profile to be removed from the database at a later date if the person is proven innocent or if no charges are ultimately brought against the person. While the United States still faces criticisms over other policies of surveillance that are unrelated to the DNA database, their approach to DNA surveillance thus far is supported by many Americans. Conversely, in Britain there are profiles kept of children and youth, many of whom were not found guilty of a crime. The storage of children's DNA profiles has raised an enormous amount of concern regarding the privacy and rights of children. There are fears that the information will be unfairly or unethically used in the future or that it stamps children as 'criminals,' leading to a self-fulfilling prophecy. Also, in Britain a person can't ask for their DNA profile to be removed from the database and new calls for every person in the UK to be included in the database have been met with a wide range of concerns regarding the rights to privacy. One idea in support of this proposal, however, is that it prevents discrimination because every individual must be included in the database, including visitors to the country. In fact, a BBC poll found that two-thirds of people in the UK supported a DNA database that includes every person living in Britain. Still, this type of surveillance could wrongly incriminate a person who was simply at the crime scene but is innocent of the crime. While DNA is an accurate form of evidence in terms of identifying a person who was at a crime scene or perhaps associated with someone who was at the crime scene, it does not at all accurately point the finger to the person who ultimately committed the crime. For this reason, criminal investigators use a range of evidence when narrowing in on a criminal, although DNA evidence can still ultimately sway the case in one direction. DNA is easily transferable from our skin, for example, and relying on DNA evidence can eventually lead to a great deal of harm not only in terms of privacy and rights, but it can be a form of improper surveillance. The aim to obtain a healthy balance between public surveillance and privacy will continue and it will do so under a great deal of debate and controversy. For now, however, it appears that in the UK at least, extensive surveillance is here to stay. @granny. If it was negative why would you question it? Last year the father of my daughter died. In about 1992 we had a first DNA test done at the Child Support Office and they said the test got messed up. Next time we had it done at the courthouse and it came back neg. His wife's kin took the blood test. I know that without a doubt that he was my daughter's daddy.